The short answer is that the latest updates are the most compatible with Sierra. In most cases that means the CC 2017 versions, which are now available. Install them using the Adobe Creative Cloud desktop application. Adobe posted a general statement about application compatibility (macOS Sierra (10.12) compatibility FAQ | Creative Cloud), but for now it links to the Photoshop and Lightroom statements below. It also claims that other most Adobe applications do not require updates to be compatible, and that any problems can be reported using the Adobe bug reporting form. This section is updated as new information becomes available. According to the system requirements for Adobe Photoshop Lightroom CC, it requires “macOS 10.12, 10.11, or 10.10” so it claims to be compatible with Sierra. This applies to the most recent version only, which at this time is Lightroom CC 2015.7/6.7 or later. Earlier, “Lightroom Queen” Victoria Bampton published a blog post with similar findings about Adobe Photoshop Lightroom in Sierra (Lightroom and macOS Sierra Compatibility). The Tone Curve may be difficult to control in Sierra. (Lightroom 6: Tone curve is Insensitive to MacBook Pro Touch Pad). Adobe said this was fixed in Lightroom 6.8 / CC 2015.8, but there are reports that variations on the problem still exist. …make sure your macOS is updated to at least macOS Sierra 10.12 and at least Lightroom Classic 7.0 or Lightroom 6.13. The best combo to avoid this issue is being on macOS High Sierra 10.13 and Lightroom Classic 7.1 or Lightroom 6.13. The team has worked pretty hard with Apple to get this issue to stop appearing with macOS Sierra 10.12 and macOS High Sierra 10.13. Improvements were made in 10.12 and iterated upon for 10.13. According to the system requirements for Adobe Photoshop CC 2017, it requires “macOS version 10.12 (Sierra), Mac OS X version 10.11 (El Capitan), or Mac OS X version 10.10 (Yosemite)” so it claims to be compatible with Sierra. If you find a problem with Lightroom or Photoshop in Sierra, report it at the Photoshop Feedback site. If you run into a problem with other software such as Acrobat, Illustrator, InDesign, Premiere, or After Effects, try posting about it in the Adobe Forums. According to the system requirements for Adobe InDesign CC 2017, it requires “Mac OS X 10.10, 10.11 or 10.12” so it claims to be compatible with Sierra. There is apparently an InDesign CC 2015 startup crash on Sierra when using a RAID with Adobe InDesign CC 2015 (11.4.1). The solution is to roll back to 11.4. The details are in an Adobe Forums post (InDesign crashes after start since Sierra update). According to the system requirements for Adobe Illustrator CC 2017, it requires “Mac OS X versions 10.12 (Sierra), 10.11 (El Capitan), or 10.10 (Yosemite)” so it claims to be compatible with Sierra. According to the system requirements for Adobe Premiere Pro CC 2017, it requires “Mac OS X v10.10, v10.11 or v10.12” so it claims to be compatible with Sierra. If you’ve been having problems with Apple Metal GPU acceleration, some were resolved in the Premiere Pro CC 2017.0.2 (11.0.2) update. There have been some long discussion threads about Premiere Pro issues in Sierra on the Adobe Premiere Pro user forum. Probably the biggest verified problem is an issue related to automatic graphics switching in Premiere Pro on the 2016 MacBook Pro, which runs only Sierra or later. That specific issue turned out to be a macOS bug, fixed by Apple as mentioned in their release notes for macOS Sierra 10.12.3. If you still experience GPU-related problems, Adobe is asking users to report them so that they can be fixed. I haven’t seen an Adobe statement about Sierra compatibility for Premiere Pro CC 2015. According to the system requirements for Adobe After Effects CC 2017, it requires “macOS X versions 10.10 (Yosemite), 10.11 (El Capitan), or 10.12 (Sierra)” so it claims to be compatible with Sierra. According to the system requirements for Adobe Acrobat Pro DC, it requires “Mac OS X v10.9, 10.10, 10.11, or 10.12” so it claims to be compatible with Sierra. Apple supports only a subset of the PDF specification, and that support has always been buggy. For maximum compatibility and reliability with all PDF versions and features, you’ll want to work with PDF files in Adobe Reader or Adobe Acrobat Pro, or a third-party application that does not rely on Apple PDFKit. Update: Apparently the macOS 10.12.3 and 10.12.4 updates fix many, but not all, of the bugs mentioned in the TidBITS article. TidBITS has published an updated article, PDF Problems Continue in 10.12.4, but Primarily Affect Developers. I have upgraded my test Mac to the release version of Sierra. So far, various versions of Adobe Creative Suite (CS) applications I tried (the oldest being Photoshop CS3) are at least able to launch in the Sierra beta. As in El Capitan and earlier, older Adobe applications are able to launch after you run the Apple installer for Java for OS X 2015-001. If you see the alert below, clicking More Info takes you directly to the Apple download page for Java for OS X.
Adobe software older than the Creative Cloud (CC) versions are not officially supported on macOS 10.12 Sierra. That doesn’t mean they won’t work; it just means that if those old versions have any new issues related to macOS 10.12 Sierra, there won’t be any updates to address them (that is, you’re on your own). After doing some quick tests, Adobe application compatibility with Sierra appears to be comparable to their compatibility with OS X 10.11 El Capitan, with very similar limitations and conditions to those we’ve seen with the past few OS X releases. If Adobe does what they’ve done in the past, they will not be testing most older (pre-Creative Cloud) software at a level that can confirm which specific features do and don’t work; you’ll have to do that testing yourself (see “How to test macOS 10.12 Sierra yourself” below). 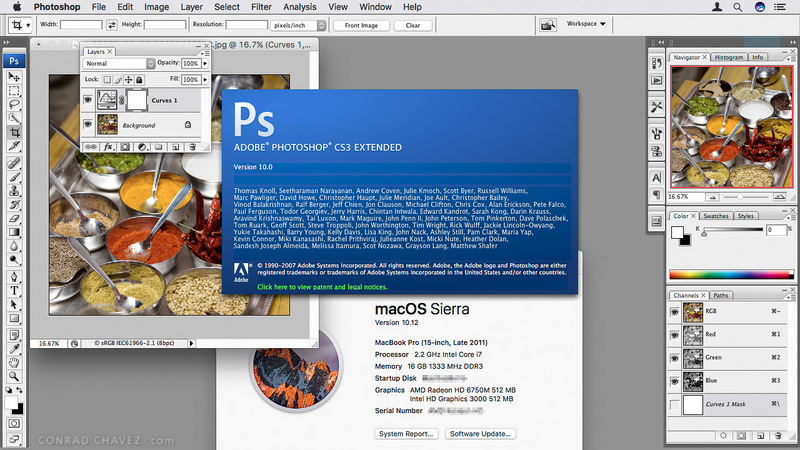 Photoshop CS3 and up will run in macOS 10.12 Sierra after Java is installed. With that in mind, here are a few things I’ve seen since trying out some older versions in Sierra. Be prepared to uninstall and reinstall if needed. Adobe applications were already installed when I upgraded my test Mac to Sierra. After the upgrade, some older Adobe applications had licensing errors. I was able to fix these by uninstalling and reinstalling those applications, and the lesson here is to always make sure you have all of the information you need (such as license keys or registration numbers) to reinstall any of your key software. Adobe Illustrator CS4. When starting the application, you may see an “Error loading plugins” alert which mentions PhotoshopExport.aip and PhotoshopImport.aip. This has been a problem for several OS X versions, and there is no fix that I know of. You can only work around it by clicking “Don’t show again” in the alert. Registration servers, update servers, and activation servers. If you get a message saying that a registration or update server is not available in an old Adobe application, that won’t stop the application itself from working so it’s not much of a concern. A missing activation server may keep an application in trial mode, but I had no problems maintaining activation in the Adobe CS3 through CS6 applications I tried. This question comes up during every recent OS X upgrade: Some users moving up from older Macs running 10.6.8 or earlier to new Macs with the latest OS version may still be using the Creative Suite 2 (CS2) version of Adobe software, such as Adobe Photoshop CS2. As with the last several major Mac OS X upgrades, macOS 10.12 Sierra requires that software be written for the Intel processors that have been running Macs for over 10 years. CS2 applications were written for the PowerPC processors that ran older Macs. The last version of Mac OS X to run PowerPC software was OS X 10.6.8 Snow Leopard. There is no way to run Adobe CS2 software on macOS 10.12 Sierra. The only option is to use a newer version of the software. One upcoming change affecting Adobe software is that Safari 10 will disable the Adobe Flash plug-in by default. You can still enable it if you want. Sierra will be able to use the newly announced Apple File System (APFS), which is being designed around security, reliability, and the ability to work across macOS, iOS, tvOS and watchOS. APFS will replace HFS+. From an Adobe user point of view, an interesting thing about APFS is that it is case-sensitive only. Currently, Adobe Creative Cloud applications cannot be installed on case-sensitive file systems on the Mac. It’s not yet clear how much of an issue this will be, because APFS cannot be used on the startup disk in the currently available build of Sierra. Apple says APFS will not become the default for Apple products until some time in 2017. Presumably, by the time APFS becomes the standard, Adobe will have ensured compatibility…at least for the latest versions of its installers. Whether older versions of Adobe software can be installed on an APFS volume will be a question until it can be tested. Wondering what Sierra is all about? For the most in-depth Sierra review you’ll probably find anywhere, read the macOS 10.12 Sierra review at Ars Technica. As with every major release of the Mac operating system, the Ars Technica review not only evaluates the visible features that Apple promotes, but goes under the surface to explain changes to some of the underlying technologies in macOS and how they affect your Mac experience. This article was originally posted on June 16, 2016 but has been updated throughout the macOS 10.12 Sierra public beta and final release. Thanks for the advice re Adobe activations. If and when I go to Sierra it will be by means of a disc wipe and clean install because I understand that Sierra will represent a sea-change in Apple’s file system. Not right away, though. The initial release of Sierra will still use the existing file system. The new Apple File System won’t be part of Sierra until 2017. Hey have you tried out CS4 in Sierra? That is what I have been running for years and I just want to be able to use this software if I update and I don’t want to risk it at the moment. Could you give me insight if you have any. Sorry it took me a while to reply. I’m not sure which CS4 application you’re interested in (Photoshop? InDesign?) but Photoshop does start up, but I didn’t try very much with it. If you rely on CS4 I’d recommend testing Sierra with it on a spare drive, to make sure the specific features you use will work with it. At least one other CS4 application had a licensing issue and I had to reinstall it, but then that worked too. I was testing the beta version of the new Mac OS over the summer. Adobe CS3 did not work at all. I could not even open photoshop or illustrator. Thankfully I backed up my mac before installing the beta because I was able to reinstall from Time Machine and CS3 worked normally again. I have a brand new iMac which came Sierra installed. I reinstalled my CS4 Creative Suite and everything seems to be working well, except for one thing (which I have read that other users have had trouble with as well). That is that Acrobat Pro will only show up on the top left menu bar without actually providing a menu to the right of that and without the program actually opening. After researching this online the suggestion was found to go to the Adobe FTP site and upgrade every single upgrade on at a time and in order which will take you only up to 9.55. After about 2 hours of this and installing each upgrade, voila, the program opened and appeared it would work great – all menus in place, etc. However a box immediately opens to the registration page. I entered my registration number only to find out that it would not be accepted – all I get is a red “x” at the end of the chain of number after entering. Fast forward after over 2 hours of waiting for Chat support on Adobe, they have stated that I need to upgrade to Adobe PRO DC, on the typical software as a service model. They will not provide a way for you to use your registration on the upgraded product which they consider as “OLD” anyway. Okay, so there you have it! For me, as long as I can use my other Creative Suite products without errors, which it appears up to this point that I can – I’m good, but obviously disappointed that I can’t use my old program under its “paid for registration”. I won’t pay for Acrobat and I have another good product which is Readdle’s PDF Expert which I think I paid $59 for (with three computer licenses) and works with iPhone/iPad with an additional purchase ($9.99, I think it was…), and this is doing a find job at this point – I’m not sure if it will securely lock a file for transfer however, which may be the main difference. Otherwise it works fairly well. i downloaded the cs3 installer but it won’t launch in sierra because of gatekeeper, any idea how i can install my bought and paid for software? Hi Patrick, try right-clicking or Control-clicking the installer and choosing Open from the context menu that pops up. You will see the Gatekeeper alert again, but this time you should also see an Open button that lets you open the installer. This right-click manual override is useful for any software that wasn’t updated for Gatekeeper and which you try to run in OS X 10.7 (when Gatekeeper was introduced in 2012) or later. You should only have to do this manual override the first time you start a program on that Mac. FYI, Fireworks CS6 seems to have finally broken under the 10.12 beta (I’m using 16A295a). You can’t select or zoom anything, making it pretty much useless. Actually, now it’s working again. It’s hit or miss when I launch if it works or doesn’t. I can confirm that Illustrator CC doesn’t work/load right on my 2013 iMac running the Sierra GM from the developer install. I need to get a logo fixed but I guess that will have to wait. It’s been fine for me (all the CC 2015 apps have. Fireworks CS6 does still work, but it’s slow. Annoyingly slow. I may have to finally replace it with something else. 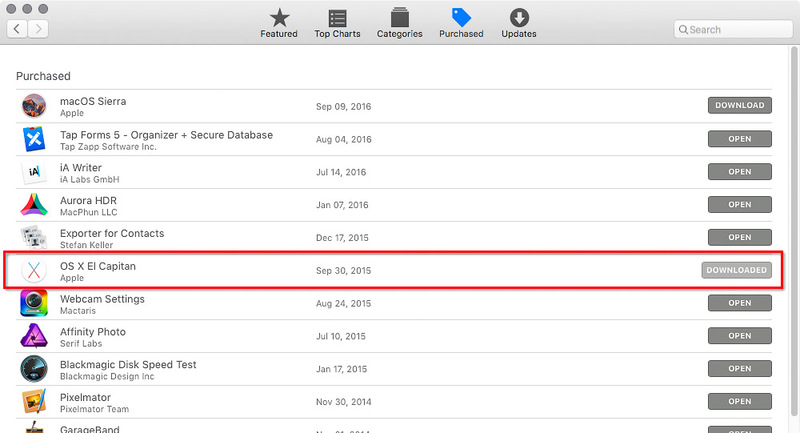 Have you tried this on the new App Store release? Have your tried Lightroom 5 on Sierra? I am currently running it and am fine with it on El Capitan. But I would like to upgrade to Sierra as it is free and has some nice features. On the other hand I don’t want Lightroom 5 to become unstable, and I don’t want to upgrade to Version 6 or CC. Hi Fabian, I have only tried Lightroom 6, not 5. But if you look in the Lightroom section in the article above, and follow the link to Victoria Bampton’s blog post about Lightroom and Sierra, she has some specific notes about Lightroom 5 in Sierra. Anyone know if CS5 will work at all on Sierra? (Photoshop & Illustrator) Don’t wanna update till I know it will work. Both of those start up for me, but I haven’t done real production work in them in Sierra. If Illustrator CS5 crashes on quit, see the link in the article. I never upgraded to el capitan cos my machine was running beautifully and I just didn’t want issues with CS6. I finally decided to bite the bullet, wouldn’t you know, on the day they bring out Sierra. talk about slow! so now I’m way behind on upgrades… haven’t done one wince mavericks and not able to find any way to install el capitan now that i have enough guts and will have to wait another year to gain confidence for sierra i guess! Sounds so stupid, I know, but where does one go to download el capitan now? I can’t find it anywhere. I don’t like to say this, but you may be out of luck. Apple generally keeps old OS X installers listed in the Mac App Store if you have already downloaded them before, but not if you never did. In other words, the time to download El Capitan was before Sierra came out, even if you were going to set aside the El Capitan installer for some time in the future. It’s probably worth contacting Apple to find out if there is a way for you to still get El Capitan, but you may have to commit to Sierra now. But since Sierra just came out, it’s probably best to sit back and wait to hear about other CS6 users’ experiences on Sierra. El Capitan is still available because not every computer can go straight to Sierra- if you’re running 10.6 or earlier, you have to update to El Capitan before Sierra. I downloaded it after Sierra came out- you may have to click a link from the apple site, i dont think it comes up in a search of the app store. Theres a link on this page, scroll down to it. I mostly use the new Adobe Creative Cloud but for a certain aspect of my job I have to use an old version of InDesign (I’m currently using InDesign CS5, but for what I have to do I can go as high as CS6 if needed). Do you (or anyone else) know if InDesign CS5 will work? I’m currently running 10.11.6 with it. I’m able to start up and open documents in InDesign CS5 and CS5.5 in Sierra, but haven’t done serious production work with them. If you want to upgrade to Sierra soon you should test it with your version of InDesign on a non-production volume. 1. Right-click (or Control-click) the installer and choose Show Package Contents. 2. In the Install window that opens up, go to the Contents/MacOS folder, and in there, double-click Install. That will open the Terminal application, some lines of code will run, and the Installer should launch from there. Thanks so much. I did a google search and came across the same fix. Everything installed correctly and updated correctly using the Adobe Updater tool. I was able to open InDesign and Photoshop. I have not played around with Illustrator or Adobe Acrobat as I had to get to actual design work! But, so far so good. InDesign CC is seriously slow on Sierra. Even resizing text boxes on a one-page document gives me the spinning beachball. I hope this can be addressed sometime soon. I installed Sierra early today, and since then I struggle almost with everything. The Parallels desktop didn’t work, but after an update it’s working now (sorry, little off topic, but might be helpful for somebody). I run Illustrator cs 5.5 and it works fine, no serious job done, though. With El Capitan it always crashed, when I opened the file info within the Illustrator, in Sierra it’s ok. I think the best solution (production issues for me) is to downgrade to El capitain… but I can’t find El Capitain no more @#$?%@#$%? You won’t find El Capitan in the Mac App Store itself, because Apple always removes earlier versions of OS X after the current version is released. But if you had downloaded El Capitan at any time before Sierra was released (and it sounds like you did), you should be able to find the El Capitan installer in your Purchases panel in the Mac App Store. My current Purchases panel still lists the installers for Sierra, El Capitan, Yosemite, Mavericks, and Mountain Lion. The only time you won’t see an older OS X installer in the Purchases panel is if you never downloaded it when it was available. So it’s important to download every version at least once, even if you don’t install it right away. Premiere Pro CC works for me on OS Sierra but you can’t export using QuickTime. It does not exist anymore. I had an issue is whenever i Print from any app Adobe CC all versions from CS3 to CC 2015.3 and give print command it use to crash. How did Photoshop cs6 work for you with the update? I’m currently running OS Snow Leopard with Adobe CS6 – Specifically Photoshop. I’ve never updated because I didn’t want to slow down my computer. Now I have to update in order to get a different software that I need. Somebody sold me their spare activation for cheap, so I do not have my license code or registration number or any of that. If I were to update, will I still be able to run Photoshop CS6 or would it try to make me reinstall it? Hi everyone. I can tell you that Adobe CS6 has been installed and has run on 10.7, 10.8, 10.9, 10.10 and 10.11. I have a small creative team of 5 that uses CS6 exclusively and we have run it for years under all those flavors of OS X on iMacs, mac pros, laptops and mac minis. I was able to install CS6 on 10.12 (Sierra) through the workaround discussed earlier here and elsewhere online since the installer is broken. I have not yet installed it on a production machine with printer drivers and fully tested it and put it through its paces because our Production Canon equipment probably does not have drivers that work with 10.12 yet. I have not looked to be honest. When I do, if I find anything – positive or negative, I will post the information. Running (Photoshop) CS5 and recently upgraded to Sierra 10.12.1. I am a heavy Photoshop user and had the same doubts regarding Adobe CS4 running with the new Sierra. (With Yosemite and El Capitan the CS4 suite operated smoothly and without any problems. ) For a worst case scenario I checked Time Machine and all my backups, so I could reboot El Capitan if necessary. Since I don’t like Adobes Cloud subscription I also checked for possible Photoshop alternatives and found Affinity Photo for Mac very tempting. https://affinity.serif.com/de/ After that I felt pretty safe and updated to OS Sierra. Once installed, I also downloaded Java for OS X Download Java for OS X 2015-001 which, as I understand it, is needed to run the Adobe CS4 suite. After that I tried Photoshop, InDesign and Dreamweaver – and all apps work seamlessly with OS X Sierra on my iMac. (iMac (Retina 5K, 27″, end 2015 with Fusion Drive). So essentially my workflow stays about the same as before. However, I think that I will start working more and more with Affinity, replacing Photoshop CS4 step by step. I’m unable to select an image file when ‘Saving For Web’ in the ‘Save As’ finder window in Photoshop CC running on Sierra. There are times when I need to save a new image using a similar name by selecting the existing file, which matches the name in the ‘Save As’ dialog field. Using Photoshop CC under Sierra I’m unable to do so because of the inability to select existing files in the Save-as finder window. I am able to right-click, so my workaround is to right-click on the file in question, select ‘Rename’ and then copy and paste the filename into the Save As form field. Also, the Format, Settings & Slices options in the ‘Save As’ finder window are off-center, situated to the far left. I just tried this with the latest version of Photoshop CC 2015. I see the same left alignment of options in Save As window in Sierra, but I didn’t have any problem clicking on files to set the filename. Are you using any utility software that modifies Open and Save windows? If you do, make sure you updated it for Sierra in case Sierra introduced new incompatibilities that might already be fixed. I have created video showing the slow redraw problem in Adobe CC InDesign 2017, you would think this problem would have been picked up by testers before release, I hope software companies don’t expect their customers to do the testing for them now days. The video shows duplicating text boxes, grouping them and then cutting and pasting the boxes you can see how slow it gets. The question I need to ask is…. WHY IS A SIMPLE LAYOUT PROGRAM LIKE THIS SO FREAKING SLOW WHEN RUNNING ON A SUPER COMPUTER? This type of software should literally suffer no redraw problems at all with modern computers, IT IS SLOWER NOW THAN IT WAS WHEN CS1 CAME OUT BACK IN 2003. I think everyone will have this problem unless they have a 5K iMac as they can turn on the GPU setting to speed it up (now confirmed by a 5k iMac user who didn’t see any slow down). So is Adobe basically saying you need to have the very latest computer in order to draw a few text boxes on the screen without it grinding to a halt? Seems a good way to make sure the economy keeps going, making sure we all upgrade our computers. I forgot to add the video link to my previous post. Hi, I’ve had issues with Indesign CS6 after I changed to OS Sierra. The font menu sometimes comes up blank when trying to select a typeface. Also when changing body text from, say, regular to bold or italic the selector on the control panel freezes and you have to type in ‘italic’ to activate the change. Also on a layout all the text can disappear when zooming in or out. I would say that the Mac and software are now running a little slower than before. Never had these problems before installing OS Sierra and have no idea in how to rectify them. Since I installed CS6 from its original discs, I’ve had no problems until El Capitan and Sierra. They have been giving me trouble, specifically with Audition. Every time that I try to open Audition CS6 in any of the newer OS, it crashes, quits unexpectedly before opening, and gives a problem report with very lengthy details. Can you please help?﻿ I’ve tried everything from activating the Audition CS6 exec in Terminal to downloading a legacy version of Java, and nothing works. The program still crashes on me and seems to only work with the Yosemite OS. Unfortunately I don’t use Audition very much, so I’m not sure what the problem might be. When I’ve used Audition lately it’s been the CC version. You might have better luck asking on the Audition user forum if you haven’t already (https://forums.adobe.com/community/audition/content), hopefully they can offer some relevant troubleshooting suggestions. I’m having a problem since upgrading to Sierra that Illustrator CS5 crashing on trying to save a document to a different location other than what comes up automatically on the menu – are there any solutions for this? Hi Jenna, looking around with Google I’ve seen one or two other mentions here and there of that type of crash in Illustrator CS5, but unlike some of the other crashes, I haven’t seen a good solution for this one (crash when trying to switch folders when saving). On the more recent Mac systems like El Capitan and Sierra, CS5 seems to be more crash-prone than earlier or later versions of Illustrator for some reason. I haven’t read everything here, so forgive me if I’m repeating. I just updated to 10.12.3 from 10.8.5. MacPro Desktop. At first it was the Java6 error. I found the Java6 download and Photoshop and Illustrator CS6 worked AND I was able to drag my old version of PS CS4 over from another drive. All working beautifully! I have Lil Snitch and don’t let adobe connect to my computer. There is no need for them to know what I am doing. There are no more updates on them so what’s the point? I didn’t upgraded to el capitan.my machine was running great and no issues issues with CS6. but with sierra i faced lots of issues.Are there any way to install el capitan now ? Hi Dorothea, as far as I know Apple does not provide a simple way to install an older version of the Mac system over a newer one, so it’s not easy to go back. If you have a backup of your Mac from before it was upgraded to Sierra, you could restore your Mac from that backup. However, you should first make a separate backup of your Mac in its current state so that you can preserve any personal files that were modified since that backup. A more laborious way to do it would be to start over. First make a current backup of your Mac, then use the Recovery Partition to completely erase the Mac. Then run the installer of a Mac system version you know works well (such as El Capitan), and then go about reinstalling your applications, setting up your preferences, and copying back your files. This would take a lot of time. So there’s no easy way. The other option is to make sure you have the most recent version of Sierra, then hold on and continue to install any Sierra updates in order to get all available bug fixes from Apple. YO PUDE INSTALAR CS6 CON EL PATCH DEL CC2017!! Here we are in June 2017. One year after Apple announced its plans for APFS. Now APFS IS the standard for newer macOS versions. And guess what? You can’t run Adobe softwares on APFS volumes. But that isn’t a problem right now, since the number of regular (that is, non-developer) Mac users on APFS is zero, because the current macOS (10.12) doesn’t use APFS. Of course it could be a problem if you’re testing macOS 10.13 High Sierra. APFS is not the standard until High Sierra ships to the public, and High Sierra is months away from shipping. Adobe can be considered late if their software is not APFS compatible by the time High Sierra ships, but not before. The real question is whether the next versions of Adobe software will, but whatever beta software Adobe has is not public, or at least, not yet. As a lifetime Mac user, I would say if past trends hold, we will be OK. For example, Lightroom started supporting 64-bit Mac hardware long before Apple’s own Aperture did. Thank you. I won’t be upgrading anytime soon. Thank you, for your blog, books, articles. I took a few years off from editing – now getting back into it. Appreciate your expertise! Here, all CS6 apps I tried are working fine on two machines with Sierra 10.12.6. In one, I had to remove all fonts reported as damaged by Font Book, to avoid slow startup times and opening/closing of panels. InDesign, Photoshop, Illustrators, all are working better than on Yosemite. I have a mac mini running Sierra 10.12.5. Just installed my legacy CS6 – all running fine (Illustrator needed a Java update – simple, one click solution). However, I see OS update is available – I’m very cautious to do this. Did you have any problems at all going from 10.12.5 to 10.12.6? I’ve been running Adobe applications under 10.12.6 for several months, so I think it’s good. The minor updates (e.g. 10.12.5 to 10.12.6) are usually not much of a concern. It’s the major upgrades (10.11 to 10.12, or 10.12 to 10.13) that we’re careful about since they usually have more significant changes that can affect how well applications work. The minor updates are usually the good ones, since they often have fixes for problems introduced by the major upgrades! especially the Adobe cs6 package. Me, too @Czeslaw. Although I am not feeling too positive about everything working, esp perifs like older printers and scanners. I do plan to do an article on High Sierra too, I’ve just been busy lately. I should have something up by the time High Sierra ships. By then there should be info on how APFS is affecting everything. TYVM @conrad! Busy happens to us all. This transition from HFS+ to APFS has been murky. Adobe says on various forums that CS6 will not work. I’ve read others saying that they have CS6 installed on APFS formatted volumes and it does work. I have it working on High Sierra but when I installed HS Beta, it did not format the SSD into APFS, it stayed as HFS+ and the CS6 apps do indeed work on HSBeta with HFS+. I guess we only have a few more days to see what the final situation will be moving forward. I’m crossing my fingers, holding my breath, etc. waiting to see if we have a green light or if we are stuck on Sierra for the foreseeable future. TY. I am still using CS4 and CS6 on Sierra, so I am encouraged by your post, @emil, as I’ve read where others could not use them after installing Sierra. I have Adobe Master Collection CS6, since OS X 10.9 Mavericks update system and everything works. Soon there will be a version of High Sierra and a change of file system on apfs. I’m afraid to highlight Upgrade to APFS, because I read in forums that the CS6 package will not work then, and return to HFS + is very difficult. Would it be cool if someone could tell if it’s worth the upgrade to apfs or not? Hi, I’ve just bought a new iMac running an up to date version of Sierra. I’m trying to run CS5 and after installing the Java Script have managed to get InDesign and Photoshop to run almost perfectly, (although they still report the ‘quit unexpectedly’ message when closing the application). However, I can’t get Illustrator to work. The solution listed above baffles me – where is the file named ‘/Library/Application Support/Adobe/CS5.5ServiceManager’ that needs to be renamed to fix the problem? Any advice is much appreciated.